Francesca Tiburzi was born in Bergamo and she began her musical studies at the age of 14. In 2005 she attended courses of ancient music at the Accademia Internazionale della Musica in Milan and she took part in the Cappella Mauriziana in Milan and in the choir of the Bergamo Cathedral, singing music by Palestrina, Cavalli, Rossi, Monteverdi, Bach and Mozart. In 2011 she graduated with honor at the Istituto Superiore di Studi Musicali “Donizetti” and she actually studying under the guidance of Giuseppina Cortesi. Ms. Tiburzi also specialized with Francois Ogéas, Mary Lindsey, Rosanna Lippi, Donata D’Annunzio Lombardi, Katia Ricciarelli, Francesco Zingariello, Francesca Patanè, Mariella Devia, Yva Barthelemy. Ms. Tiburzi won important lyric contest such as: “Lina Bertasi Aimaro” contest (2009), “Rosa Ponselle” contest (2011), and was finalist at “Riccardo Zandonai”contest (2012), “Principessa Trivulzio di Belgiojoso” lyric contest (2010), “Giacomotti” Lyric contest (2012), “Ziino” Contest (2012), “Marcella Pobbe” lyric contest in Verona (2014), “Etta Limiti” Lyric Contest (second prize). She debuted in 2008 at the Donizzetti Theatre in the city of Bergamo and played the role of Violetta in the Traviata and Anna Bolena at the Bellini Theatre in the city of Catania. She has sung also roles such as Amelia in the Un ballo in maschera in Metz, Tosca and Magda in the Campana Sommersa by Respighi directed by Donato Renzetti at the Lyric Theatre in the city of Cagliari and Beethoven’s 9th Symphony in the city of Sassari. 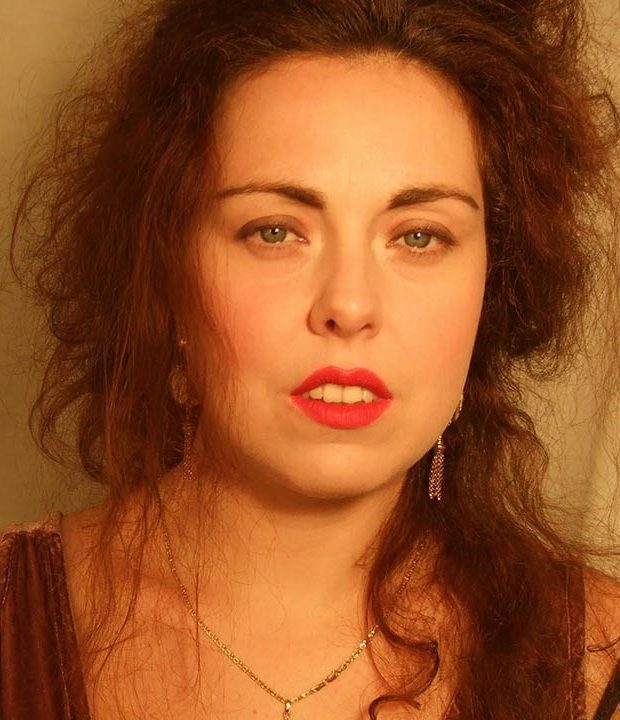 After the successful role as Amelia, the Opera of Metz reconfirmed her in roles such as Nedda in Pagliacci and Giorgetta in I Tabarro, with which she opened the season 2016/17 and also played the roles of Alaide in the La Straniera by Bellini in Catania and of Tosca at the Verdi Theatre of Trieste. Among her recent engagements there are Tosca in a new production at the Firenze Theatre, Pia de Tolomei at the Verdi Theatre in Pisa filming in Lucca and Livorno, Norma in Castelfiorentino, Manon in Manon Lescaut at the Filarmonico in Verona, Maddalena in Andrea Chenier at the Teatro Bellini in Catania, Madama Butterfly at Teatro Curci and Cristina in Malavita by Umberto Giordano for Wexford Opera Festival. She will sing the mail role of Tosca in the Opéra Théâtre de Metz in the 2019 season and Imogene of Il Pirata in Catania.